This week I have decided to celebrate ordinary people doing extraordinary things. 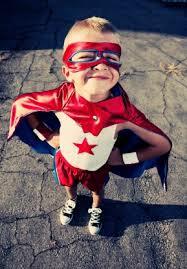 My HEROES! Starting with Nonso my 6-year old Rubik’s cube participant. Friday, 05/12/14 was a memorable day in my life. It was memorable not because it marked the end of a quite hectic/eventful week. But, because I got my first Christmas card! So, what’s the big deal in getting a card? I got the card from a 6-year old! Nonso, that’s his name. As my elementary participants filed into the class, and I was busy prepping, Nonso tapped me lightly from the back. As I turned, he went “Hi Miss Kemi”. I looked at him with a smile, and before I could utter a word, he said “I have this for you”, stretching his little hand with the card towards me with a smile. I reached for the outstretched hand, took the card, opened it and I was awashed with emotions. All I could do was to hug him. He insisted I should not show it to the other participants despite all pleas from them. The look on his face when I hugged him kept me smiling through my 4-hour ordeal in that Lagos traffic congestion. Thanks very much Nonso for capping my week with your show of love. Maybe someday you’ll get to read this, do know that I truly appreciate you. And I look forward to the day you’ll conquer the world putting to use all the life lessons learnt in the Rubik’s class. Our paths would never have crossed if not for the Rubik’s cube. Nonso, you are my ordinary friend that did something extraordinary in my life. I had that ‘Wow’ moment with you. Next is Tony Elumelu through The Tony Elumelu Foundation Entrepreneurship Programme (TEEP). 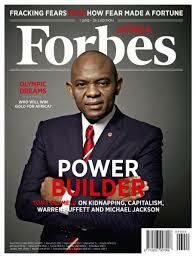 The billionaire investor, Tony Elumelu, is focusing on those yet to turn their business dream into reality. The chairman of pan-African investment company Heirs Holdings Limited has pledged $100 million to find and support 10,000 entrepreneurs throughout Africa. This was made known last week, Monday 01/12/14. Tony Elumelu Foundation announced the launch of a $100m Pan-African entrepreneurship initiative – The Tony Elumelu Foundation Entrepreneurship Programme (TEEP) – it is a multi-year programme of training, funding, and mentoring, designed to empower the next generation of African entrepreneurs. The programme is the first initiative of its kind to be launched by an African philanthropic organisation and is the largest African sourced philanthropic gift, targeting the entrepreneurial space. 3) A mission to ‘institutionalise luck’ by creating an environment where African entrepreneurs can get critical elements of support in the early stages of their business life. We look forward to knowing who your heroes are on this platform.